Experience some of the best bars in Melbourne at Crown. Enjoy a relaxing drink or night out with friends at one of our 14 bars and soak in the amazing atmosphere of the Crown Melbourne nightlife. 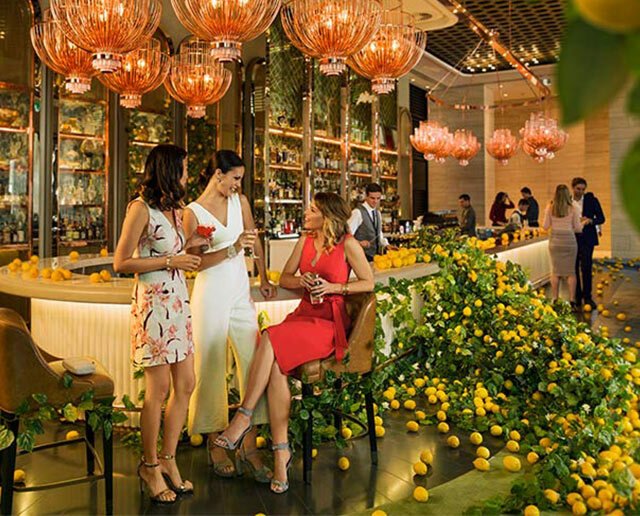 End the day on a social note with a range of food and drink specials at Merrywell Bar & Dining, San Antone, Gradi, and other Crown Melbourne bars. The Atrium Bar is Melbourne’s most sophisticated champagne lounge, with over 20 varieties of classic champagne, cocktails and liqueurs. Right in the heart of the action, Jackpot Bar is the perfect place to meet up with friends and work mates for a drink or two. The Bar at Dinner showcases a selection of cocktails that have taken inspiration from the restaurant’s culinary identity and cooking technology. Settle in and order up a round of Velvet Bar's superb cocktails - it’s always a good time to indulge and relax at Velvet Bar.